I love spring! It’s so nice to get outside and use my grill. 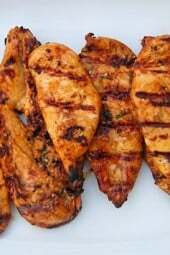 Here is a tasty Asian inspired recipe for grilled chicken recipe I love to make when the weather warms. Letting it marinade overnight gives you the best results. 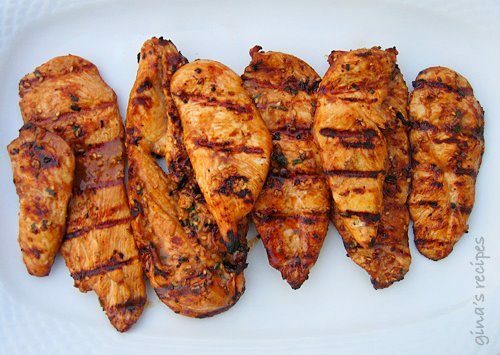 This marinade is also great on boneless, skinless thighs. Serve this with a salad, rice or vegetables. Combine all marinade ingredients in a small bowl. Pour the mixture over the chicken, turn the pieces to coat evenly, cover and place in refrigerator a minimum of three hours, but preferably overnight. Grill chicken top side down first until well browned charred, about 5 minutes, turn and cook on the second side about 3 more minutes. Just came across this recipe, this looks delicious! Someone recently gave me a small bottle of pineapple teriyaki sauce, do you think I could use with this marinade? Hi. My son has a sesame allergy. Can you recommend a replacement for the sesame oil in your recipes? Just an FYI: make sure to grab gluten free Teriyaki Sauce or make your own! Teriyaki Sauce has wheat in it! This is fantastic the next day, cold at a picnic. This was our main dish at the picnic where my now-husband proposed to me! Do you think you could bake this chicken? It's too cold to grill here right now. If so, would you bake with or without the marinade? Kikkoman if you can find it. Hi,…I am from India and we have very limited options of sauces. Could you suggest which brand of Teriyaki sauce I need to pick. Or any recipe of making the sauce from scratch? I've only just discovered this site a week ago. already i've made 2 things from it that the whole family loved! i've always struggled getting the rest of my family to eat healthy and to stop making different things for me and something different for the rest of the house each night… i think i've found the answer!! Thank you! Really fab recipe, thank you! I didn't have any teriyaki sauce so just used some Mirin and pineapple juice. Divine! I am not sure what I did wrong, but mine came out SO salty. I followed to a T. I did marinate it for 24 hours. Was thinking about using this marinade for Ahi Tuna and letting it sit and them searing it… do you think that would be good?? Gina, did you make the teriyaki recipe from scratch? I was wondering if I could use Yoshida sauce in replacement of the Teriyaki sauce? Moments like this that I wish to all that's holy that I had a BBQ! The smoky grill flavor makes my mouth water. In the meantime, I'll use my stove. Teriyaki isn't typically gluten free and I've never been able to find a GF version. Do you have a particular brand you use or do you make your own? Hi! I don't have any sesame oil on hand – do you think if I used olive oil (or maybe extra virgin olive oil) I should be okay? Or do you think it's probably best to go get the sesame oil? Thanks! Dying to try this! For the salad, if you add a bit of cilantro and peanuts, it would be Thai-inspired. I'm trying this today but instead of grilling it i'm trying it in the crockpot! Hope it tastes just as good!! I just LOVE all your recipes!! I love this recipe and want to make it for a camping trip we have planned. if i was to let the chicken marinade for 2 days would that be to long. Looks yummy but if you want it to be 100% gluten free you have to use GF soy sauce. Kikkomans has a fantastic GF sauce! My chicken is marinading right now, and it smells YUMMY! I had alot of cilantro in my fridge, so I chopped up some, and put that in too! Just made this last night, and it was delicious. No complaints from the kids, and the leftovers were *banging* on salad today. I am so happy I found this place! Again, I was blown away by how good this tasted! You ALWAYS exceed my expectations. I paired this with white rice and grilled pineapple. Perfect meal! I just put the marinated chicken in the fridge. The aroma is already making me excited for dinner tonight! So far, none of your recipes have been a disappointment. In fact, every one has become a favorite! I find TONS of recipes on Pinterest & many lead me back to your site! We LOVE the recipes we've tried (my hubby, myself & our 4 girls from ages 3-10). 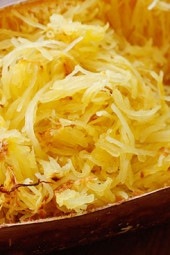 I'm adding this one to my Pinterest board to try (& I'm sure it will go in my recipe app when we're done). Thanks for a great site & great recipes!! Could I use lime juice instead of the lemon? We are not big fans of lemon… Would it affect the recipe greatly? I don't have fresh ginger, I just have ground (from my spice rack). How much should I use? Use 3/4 tsp ginger if using dry. I agree…. How should I make this without a grill, grill pan, or george forman grill? Without s grill pan, you could saute it with a little spray in the pan so it doesn't stick. How should I make this without a grill, grill pan, or george forman grill? making this for dinner tonight along with asian slaw and asian sweet potatoes. Never made the potatoes before but here goes nothin…..
Added a few squirts of sirracha to my marinade! I like it spicy! Mmm! Another excellent recipe! The marinade was simple to do in the morning & made for a delicious dinner. I am also looking forward to having this over salad. Very good. I let it marinade about 3 hours. I grilled corn on the cob along with a grill basket of peppers, mushrooms, snap peas, and scallions. Yummy dinner. Thanks. I apologize, I must have made a mistake while converting to PP. I just fixed this one, thanks for noticing! Your recipes are really tasty! Thanks for all of your hard work. Is this really 3pts? A serving of 2 cutlets at 3 oz each makes for 6 oz of chicken, not including the other ingredients. I am guessing it would have to be a higher point value. What do you think? Thanks for the yummy ideas! Any suggestions wrt brands of soy and teriyaki sauces? I have noticed a wide range of flavors, sweetness and saltiness in them. Above you have 6 oz. of chicken with the extras listed as 55 calories and 1.9 grams of protein. I am trying to strictly follow WW+ and this seemed a little off since just 4 oz. of chicken is 3WW+ points. Just checking. Thanks for all the GREAT recipes! This was very yummy, was just wondering if you know the calories for this one? Made this tonight. Scrumptious! Do you know the points plus for this yet? Thank you Gina for this recipe. I cooked this tonight and it was delicious! Very moist! I have a picky teen and she gobbled it up! I am putting this on my blog. Made this tonight – it turned out great! Will definitely make again. Wow, just finished dinner! Made it with brown rice and steamed broccolli, cauliflower, and carrots. Everyone loved it!! My son said "Mom, this dinner is definitely a keeper." Fried brown rice would have been quite tasty with this. Do you have a recipe for it? I confess, I love white rice too! I try to eat brown rice when possible, but I also eat white rice when I crave it. This would be great with brown fried rice if you want to go that option! We're going to have this tonight for dinner. You mentioned that it can be served with rice. What type of rice do you like to use? We've been using brown rice but I miss white rice. Is there a 'good for me' white rice out there? I'm working on getting all my older recipes updated. Hopefully I will have this all done in the next few months. It would be nice if you could add more than just the calories and points for your recipes, some of us don't do the WW thing but still find your recipes great for eating healthy in general and it would be nice to have the protein, fat, carb, etc content for our own food diaries. I just used this marinade on chicken breast. I cooked the chicken on my Foreman grill, since I don't have a grill pan and I didn't want to light the big grill tonight. It was delicious. I may make it again later this week! Thanks for sharing this! We had the Asian Turkey Meatballs (yummy) for dinner last night and I had leftover brown fried rice. We're having the Asian Grilled Chicken tonight. I know it will be delicious. I have loved all of your recipes. Thanks for sharing! Great! 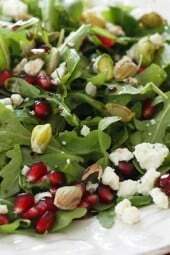 I have lots of vinagrettes, they are on various salad recipes. Look under salad. 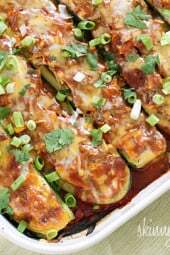 Last night I made these and just served them with brown rice and grilled some zucchini..delicious…so moist and flavorful! Do you have a good vinagrette recipe..doesn't have to be asian….!? I just recently found your sight..and I am hooked!!! Thank-you for this wonderful sight! I made these last night and my husband loved them..a new favorite for us…can't wait to try your recipes..thank-you again! If you freeze this before grilling, just make sure it's completely thawed before you cook it. It will be great! Do you think this recipe would be good frozen before grilling? I am thinking about making it for my freezer cooking group. Thanks! Did it on the foreman here and LOVED it! Total keeper and my honey is not a huge chicken breast fan but he definatley loved this one!!! TNX! If you like fruit in your salad mandarin oranges would be nice! This sounds soo awesome I can't wait to try it! Gina, do you think it will taste the same if I use my george forman grill? I like Kikkoman. Not sure if the spelling is correct. The salmon patties tasted good but the texture was off. Maybe using panko bread crumbs instead of saltines? I have heard that the lemon juice starts “cooking” the fish so you can’t marinate fish that long in lemon juice. It changes the texture. Not sure if that’s what the problem was or not. Wow, that sounds amazing! Please let me know, I may have to make that!! I love the idea of using this marinade for salmon. Also on my list of things to do! Thanks for sharing! I love this marinade and had some Salmon I wanted to use up so I tried it with that. It was amazing! My husband kept asking what I did to make it taste so good (he's not a big fish fan). I'm using the leftover salmon to make salmon patties. I used whole wheat saltines, diced red pepper, old bay seasoning, dill and egg whites to make the patties. Then I used fat free mayo, low fat sour cream, dill and a dash of lemon & fresh ground pepper for a sauce. I still have to cook them so I will let you know how they turn out! Thanks for leaving a comment! This would be great over an Asian salad! Very moist and yummy! My husband who doesn't like chicken even commented how good this was. Next time I am going to make extra to put on my salad or in a wrap for lunch the next day. I tried this a couple of weeks ago and this was one of the tastiest grilled chicken dishes that I have ever had. I am going to use the marinade this week on some salmon only I'll just marinate it for a few hours rather than overnight like I did the chicken.